For some people, the current period of tension with India is a gift. Social media activists, media walas, hyper-nationalists, trolls, comedians, and satirists have been handed the premiere topic for getting the prized clicks and re-posts that build careers, and the feeding frenzy has created an instant feedback loop that is quickly spinning out of control. Did India cross the LoC? Did Pakistan capture enemy soldiers? At the most extreme, Defence Minister has openly threatened to unleash a nuclear war. While the nationalistic chest thumping has the benefit of feeding the patriotic sentiments, there are costs as well. Obviously there are the possible costs of millions of dead in the case of an actual nuclear war, but this remains unlikely. There are other costs, though, which are paid in national reputation and can be measured in purely financial costs. Minister for Planning, Development and Reforms Ahsan Iqbal recently said Pakistan is borrowing an additional $5.5 Billion from China to upgrade and modernise the Karachi-Lahore railway, raising total CPEC financing to over $51 Billion. At the same time, China has publicly called on Pakistan to resolve differences and improve bilateral relations with India through dialogue. So far, officials in Rawalpindi and Islamabad have ignored China’s call for peaceful resolution through diplomacy, instead choosing to escalate tensions to the point of threatening nuclear war. In effect, officials are making a $51 Billion gamble that China will continue to invest in a country that says it is on the brink of nuclear war. 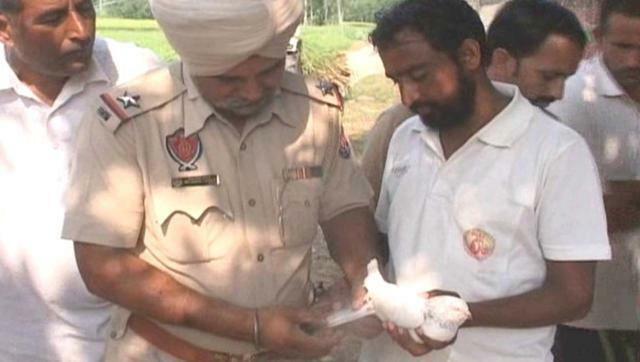 As tensions grow worse between Pakistan and India, Indian security forces have intercepted a Pakistani spy pigeon. I should say “another” Pakistani spy pigeon, as this is not the first time India’s premiere intelligence agency has accused its neighbor of Pakistani birds of invading Indian airspace, though it is unclear whether DNA tests were used to confirm the pigeon’s nationality, or if they were carrying some Pakistani candies also. Indian “intelligence” is not the only one being challenged in these tense times. Our own Defence Minister has accused Indian border forces of carrying out cross-border targeted attacks against Pakistani buffaloes. Indian border forces target our economy, milk industry, by shooting at our buffaloes in my constituency, says defense minister Khawaja Asif. Such nonsense provide a light hearted relief at a much needed time, but the real need of the day are people with the courage to step forward and stand up to the hyper-nationalists who are beating the war drum. As usual, these hyper-nationalist warmongers hide behind a mask of patriotism and fake “pro-Army” slogans while what they are proposing is that our soldiers get killed in order to boost their own pride and egos. Notice how many of the loudest “patriots’ are always chomping at the bit for war from their computer keyboards in the US, UK, or UAE. 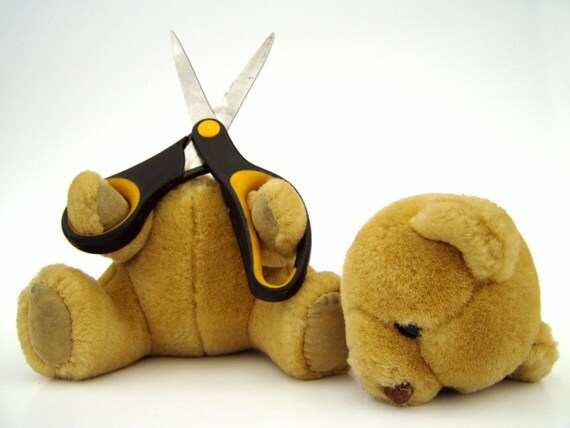 Even those who are in Pakistan declare they are ready to sacrifice…from their accounting desk. War with India will not be a one-sided affair where Indian forces simply run, or lay down and die. Our soldiers are willing to sacrifice their lives, but it is an offer that should not be taken lightly. It should only be as a last resort, not a means to make you feel good. Real patriots are those who appreciate their soldiers sacrifice enough not to waste it satisfy their own egos. Worse, the easy talk of nuclear war is the very definition of insanity. Do you think angels will cover Pakistan with their wings? No, what will take place will be devastating. In Lahore, it could kill 440,210 people, injuring 1,541,350. In Karachi, it could kill 720,880 people, injuring 1,866,180 people. Let us laugh at the jokers telling stories about spy pigeons and martyred buffaloes, but we must also realise that war is no joking matter. A new report from Harvard University notes concerns about the security of the world’s nuclear weapons. 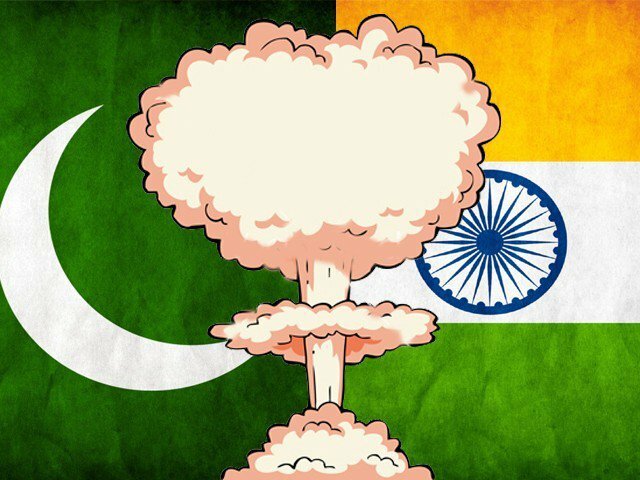 Despite the very frightening details of the report for Pakistan, many media groups are celebrating the report because it suggests that ‘India’s nuclear security measures may be weaker than Pakistan’s. Across social media the media reports were tweeted with a feeling of delight, as if the insecurity of India’s nuclear weapons is something good for Pakistan instead of a dangerous threat! However, what is even more ridiculous is that those cheering this report for giving India a black eye are completely ignoring the even worse findings it has for Pakistan. Putting Pakistan “at risk for nuclear theft”, the report says: “Overall, the risk of nuclear theft in Pakistan appears to be high,” citing “some of the world’s most capable terrorist groups, an environment of widespread corruption and extremist sympathies” as risk factors. The possibility of collapse of the government in Pakistan or an “extremist takeover cannot be entirely ruled out”. While there is “no clear trend, either upward or downward” regarding the level of risk for Indian nuclear sites, it highlights a trend “toward increasing risk” in Pakistan as its nuclear arsenal expands and the strategic doctrine shifts toward tactical nuclear weapons. Some have accused that pointing out the warnings to Pakistan contained in the report is being ‘seeing the glass as half empty’ while celebrating the warnings to India is ‘seeing the glass as half full’. This is a dangerous mindset that must be overcome. India’s problems are not our victories, and ignoring our own problems does not make them disappear. Enough has been written about the mistakes by both sides that led to the inevitable cancelling of NSA level talks between Pakistan and India. For the time being it is unnecessary to say more on this topic. However there is another point which has not been discussed which requires attention if we are to be successful which is that certain voices especially in media seem to be projecting a very bad message that they seem to think is a helpful negotiating tactic: Nuclear blackmail. Despite the efforts of China to protect us from living up to our promises regarding economic sanctions against terrorists, the Financial Actions Task Force (FATF) has announced that it will be closely monitoring Pakistan’s enforcement of sanctions on designated terrorist groups through the Asia Pacific Group on Money Laundering (APG). Specifically mentioned were Hafiz Saeed, Zakiur Rehman Lakhvi, and Dawood Ibrahim. This latest announcement follows recent reports that supposed economic sanctions are having virtually no effect on banned groups in Pakistan, including Hafiz Saeed openly mocking the idea that government can do anything to stop him. “I meet thousands of people every day, I am open and among them,” he said, laughing at his office in Islamabad, the Pakistani capital. And the government has been equally timid in the face of Hafiz Saeed’s lieutenant, the convicted terrorist Zaki-ur-Rehman Lakhvi. “A lot of questions are raised, that ‘so and so’ is roaming free, or ‘so and so’ is speaking [publically], but that is not part of what listing of an individual entails,” said Tasneem Aslam, spokesman for Pakistan’s Foreign Office. It seems the world’s patience for these double games is running out, and this just at the moment when we would like to plead our own case before the UN. 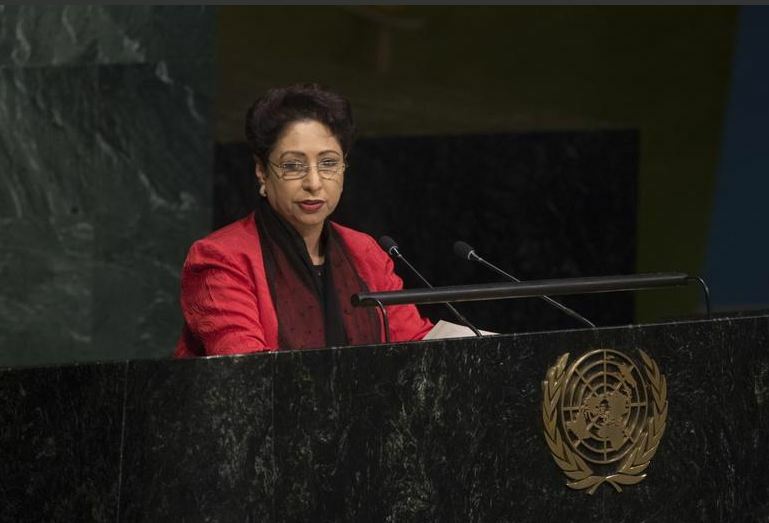 Rumours of Indian support for subversive activities reached new heights with the publication of BBC’s story that MQM received funding and training from India, and now Pakistan’s Ambassador to the UN Maleeha Lodhi has reportedly been summoned to Islamabad to discuss presenting our case before the global forum. This is an important move and one that should have been taken earlier if we have actual proof. However, that proof must be more than simply a BBC report. There are two reasons for this. First reason is that everyone has already seen the BBC report – it is already one week old – and the allegations are nothing new. The ‘authoritative Pakistani source’ appears to be none other than MQM’s Tariq Mir, and that too is hardly likely to impress anyone at the UN. Let us be honest: We have a credibility problem, largely due to the reasons noted in the first part of this post. We have a proven history of telling the world one thing and then doing, well, something a little different if it suits us. If we take our complaint about India’s subversive activities without strong proofs while we are facing strong criticism over terrorism, it will be embarrassing and only worsen our already suffering reputation. This brings us to the second reason why we need more than BBC’s report: If we insist on the authenticity of BBC’s story about Indian activities, what will we say about other BBC reports that are not so kind to our own activities such as the documentary ‘Secret Pakistan’ that claims that Pakistan is playing a double game and supporting terrorists. Or the BBC report that says Pakistan is prepared to sell nuclear weapons to Saudi Arabia? If we walk into the UN and demand action based on one BBC report, we must be prepared to answer serious and uncomfortable questions about other BBC reports. If we have evidence of India’s involvement in supporting subversive activities, we should present that evidence before the UN. We must also be prepared to answer why we are only doing so now. Most importantly, the evidence we present must be fool proof and our presentation must be made with the understanding that we our making our case having just had our own reputation for reliability put in doubt by the UN Security Council.